We are proud to present our Design Template Store. You can choose any template you like and change the design with one click. The design theme gallery is constantly updated. New unique templates coming soon. 297 different design options easy to choose and combine. Separate themes for seasons, holidays and business types. Fast change and configuring with three clicks. No programming skills needed. It has never been so easy to manage your shop! We improved the structure and functionality of the admin panel to make the shop management easy and convenient. 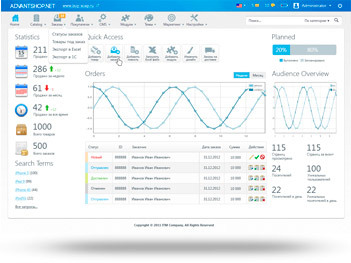 You can check the order statistics, traffic and user search requests. The process of order management has also been simplified – you can easily find an order by its status, number or buyer and check the details with one click. Any order can be uploaded to Excel and/or printed. No special skills needed, everything is simple and user-friendly. 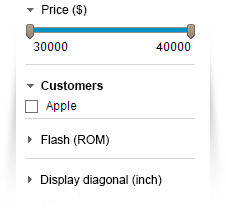 This unique feature makes order processing easy and convenient. The buyer needs only to specify his/her name and phone number to make a purchase. One-click orders get into the admin panel along with general orders. 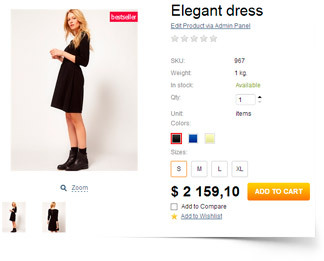 One-click purchase works both for certain single products and a whole group of products from the shopping cart. Using this feature you can upload large lists of products with images to your shop from Excel with one click. CSV Mapping allows you to easily import price lists of different suppliers from Excel. You do not need to insert product data manually anymore. AdvantShop automatically identifies different columns from price lists and sort the data correctly. 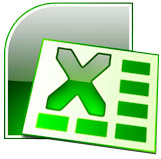 Convert suppliers price lists from Excel to CSV and upload it to you shop. 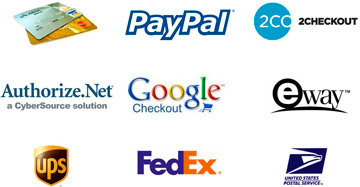 AdvantShop supports all the most popular payment methods – eMoney, credit cards, wire transfers and bank receipts. You can also use the online shipping costs calculator to make the purchase process easy and convenient for your customers. Do you have a FaceBook version of your shop? We will help you to create it! Now you can place your storefront in the world’s most popular social network. Your shop will work as FaceBook application increasing your sales! AdvantShop is already optimized for search engines. 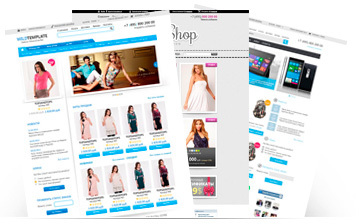 Your webshop will be included into various search request pools and successfully indexed by search engine robots. Optimized tags, sitemap, 301 redirection, breadcrumbs, 404 error processing – all these features allow your shop to be search-friendly and attract plenty of target customers to your shop. 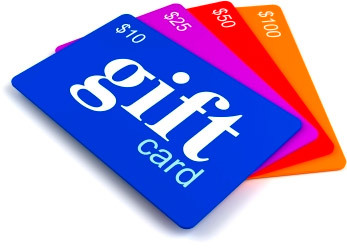 Using coupons and gift certificates is one of the best way to stimulate the loyalty of your customers and increase the sales. Launch campaigns, manage the best offers. You can set the timeframes for discounts, regulate the number of gift activations, change the categories and percent of discounts. Make gifts to your customers and they will be loyal to your shop! 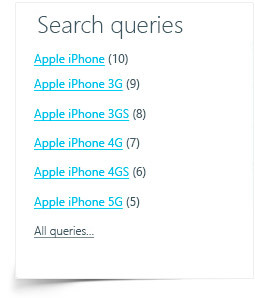 Smart search filters is a recipe of successful sales. You can set the necessary filters in your shop: by price, product options or any other desired parameters. You can greatly increase your sales by offering your customers additional products to buy. Options like “This product often goes with” and “Similar products” is vital both for vendors and customers. You can persuade your customers to buy your product by placing a video describing it. A good video is an excellent marketing tool, much more effective than a simple image. The number of videos for certain products is unlimited. 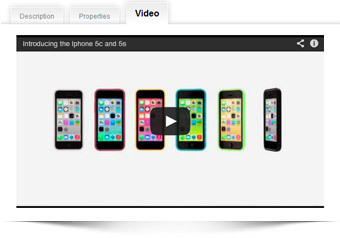 Tell your customers about your products using video and you’ll see the result very soon! 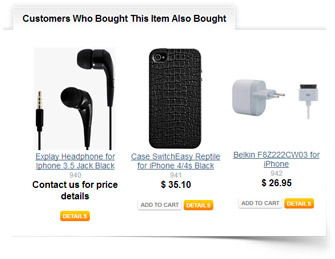 You can easily check what products your customers were looking for. 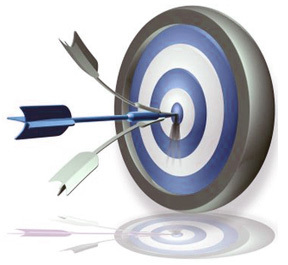 This will help you to understand the desires of your target audience. 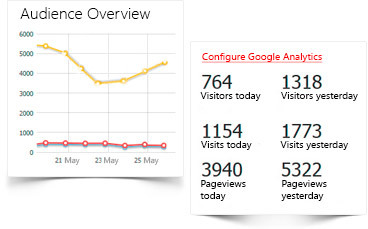 You can easily track the traffic of your shop with Google Analytics. The traffic counter is located on the main page of your admin panel. Copyright 2014 Advantshop.net. All Rights Reserved.